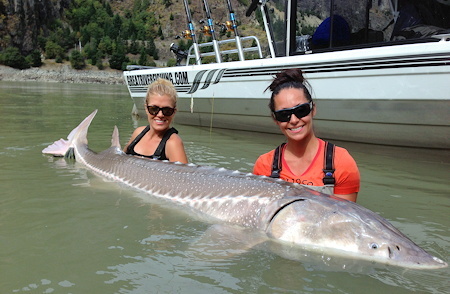 Great River Fishing Adventures, British Columbia. 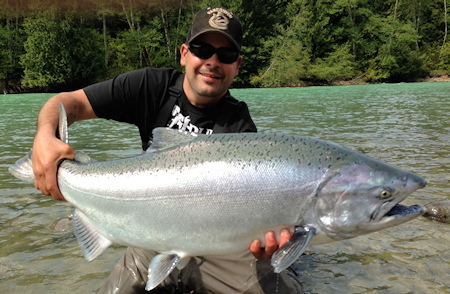 Fraser River Fishing Guides, Chilliwack, BC. GREAT RIVER FISHING ADVENTURES - WHERE AMAZING BEGINS! 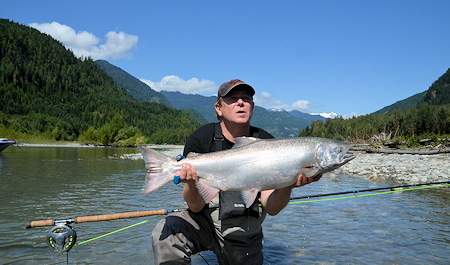 Great River Fishing Adventures, Fishing Guides, Fraser River, British Columbia. 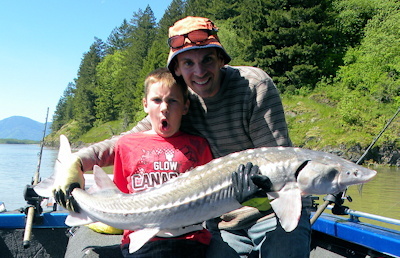 Guided sport fishing for Sturgeon, Salmon, Dolly Varden, Rainbow & Bull Trout. 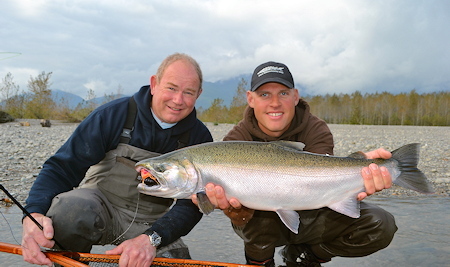 Founded in 1988, we are one of the largest fully guided sport fishing operators on the Fraser River and it's tributaries. 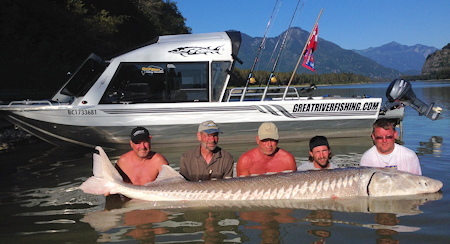 Every year, thousands of tourists from all over the world visit us to experience the world renowned fishing and natural wonder of the Fraser River in beautiful British Columbia. This calm water fishery features over ten species of sport fish and year round opportunities for the novice and expert angler alike. 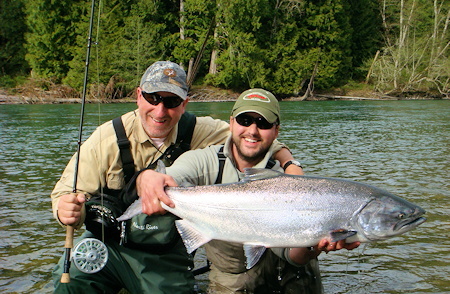 We fish the #1 Sturgeon, Salmon and Trout rivers in the World. We specialize in multiple styles of fishing to meet the needs of any angler. 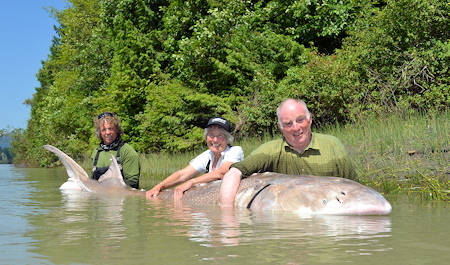 Have you ever caught or touched a real living Dinosaur? 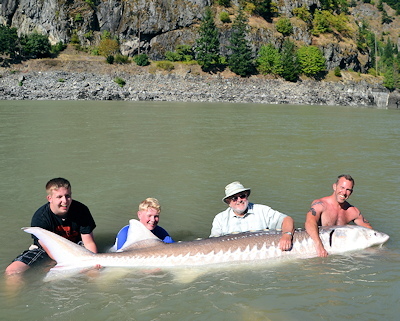 We specialize in targeting White Sturgeon, a species that can grow over 20 feet in length and over a 1000lbs. 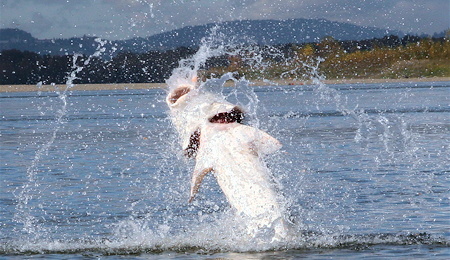 These magnificent creatures make spectacular jumping displays and runs that will excite every angler. 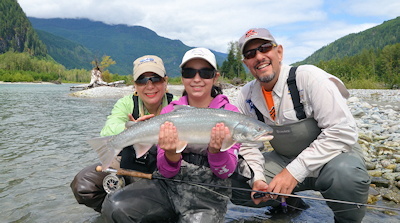 We also fish for all 5 species of Wild Pacific Salmon and boast the largest and most experienced team of fly fishing guides on the entire river. We exclusively travel to the Upper Pitt River and Lillooet River to chase sea run Dolly Varden, Bull Trout, Rainbow and migrating Salmon. When fishing with us the opportunities are endless and each adventure is personally customized so you can focus on the reason you are here... to fish!